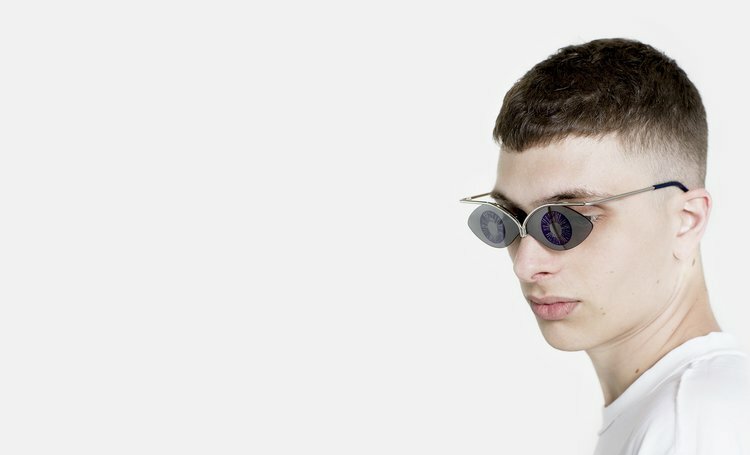 The year 2017 was full of surprises when it comes to fashion trends, it goes without saying the designs of eyewear has also evolved in many ways throughout this year. 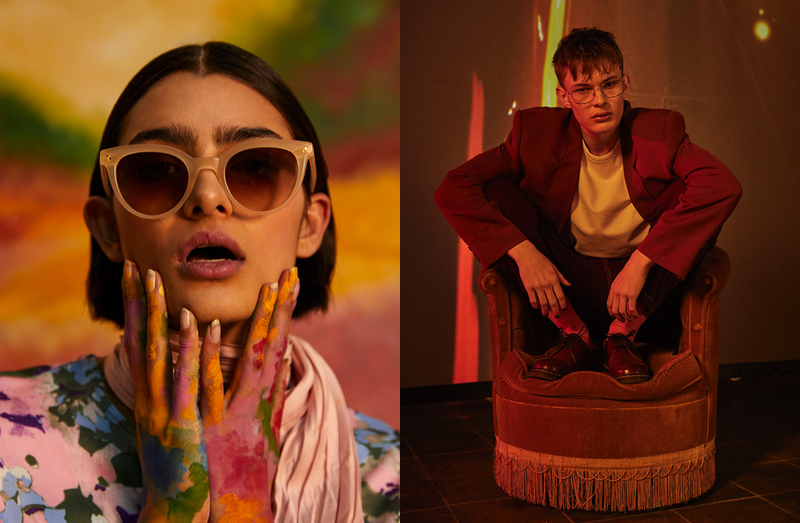 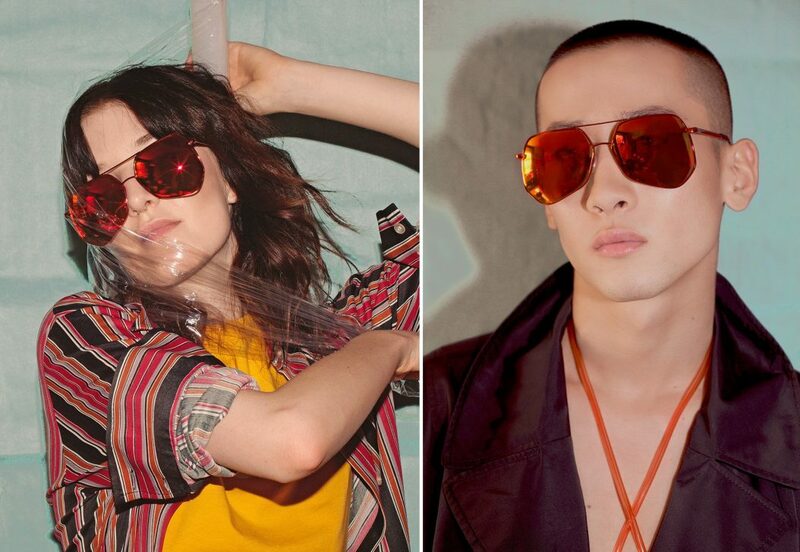 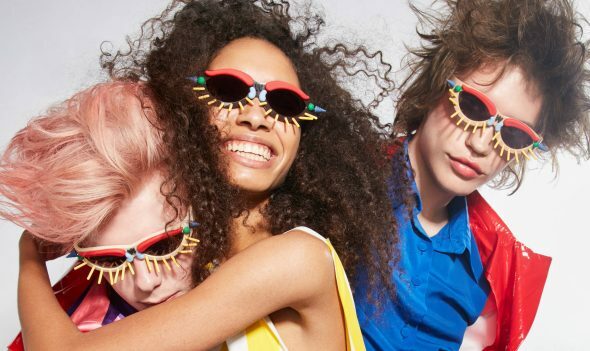 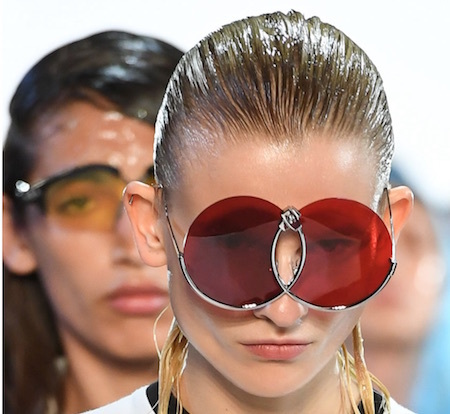 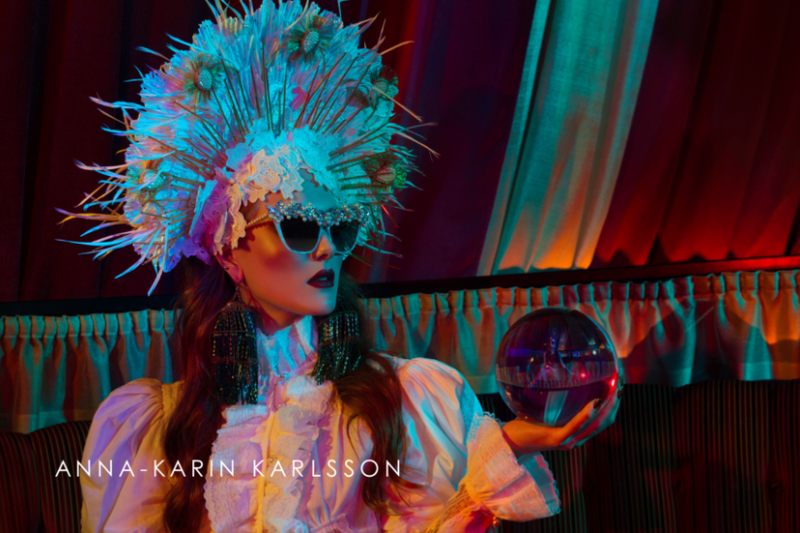 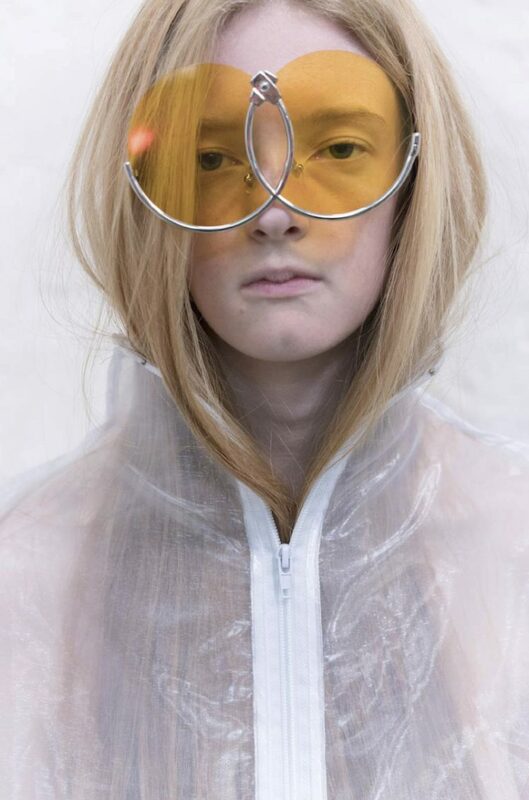 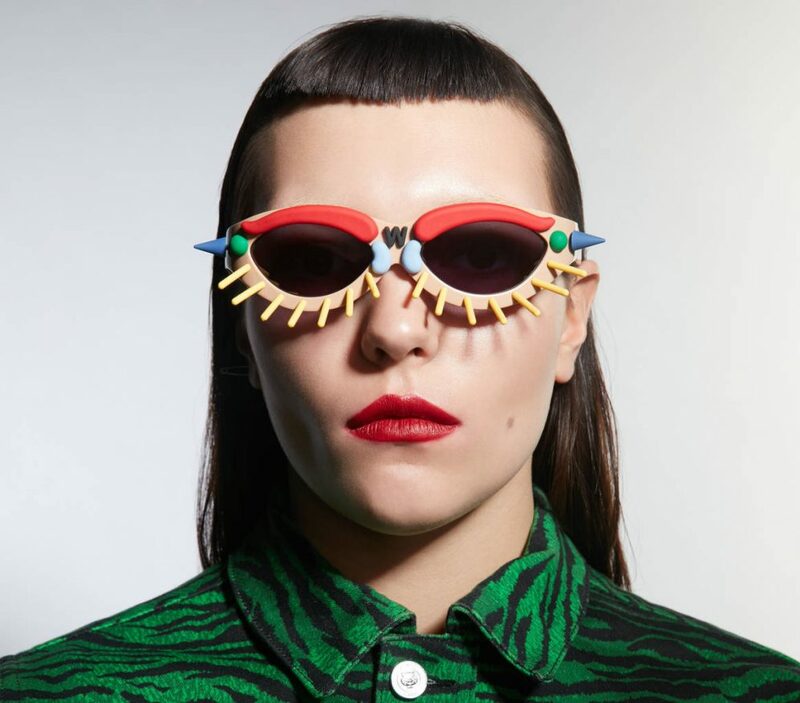 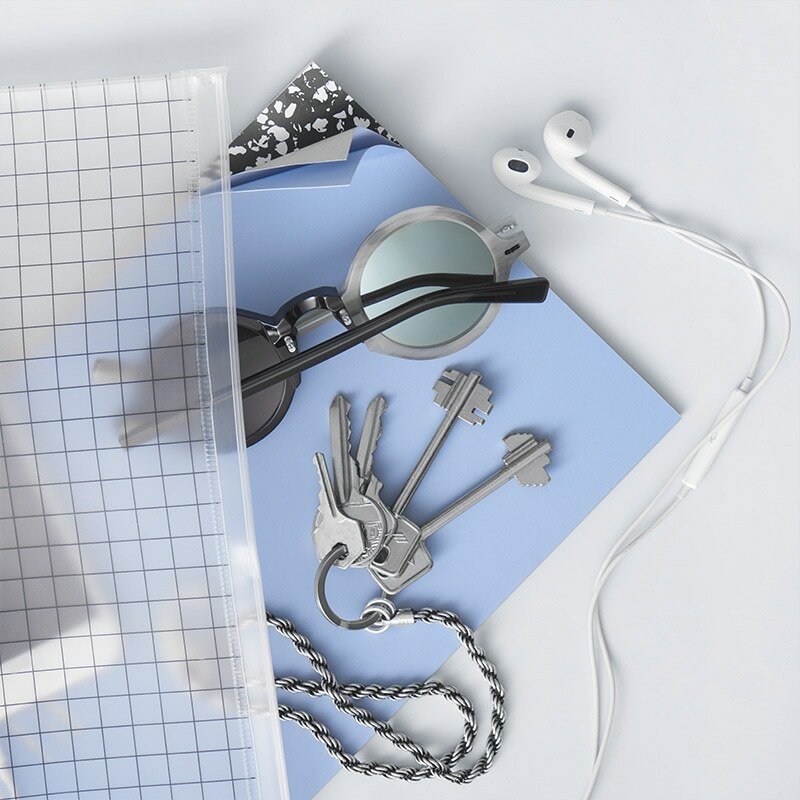 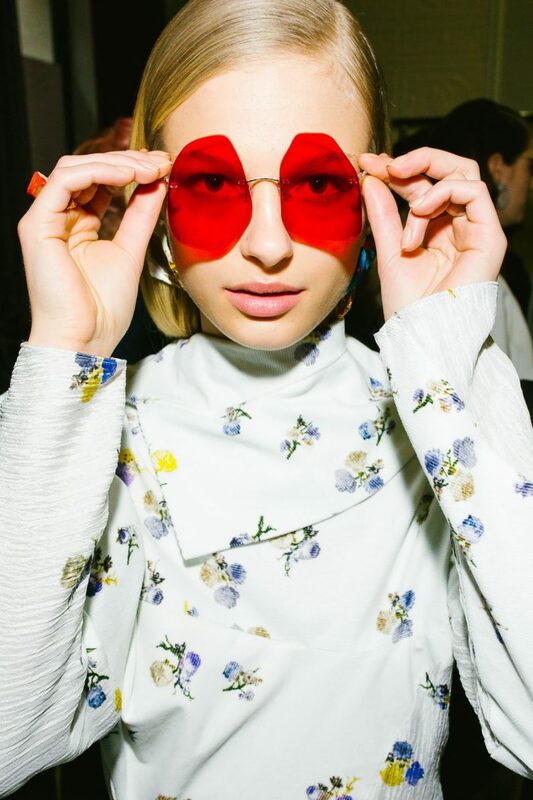 From shapes and colours to materials used and innovative designs, eyewear designers are definitely not lacking when it comes to creativity and avant-garde designs. 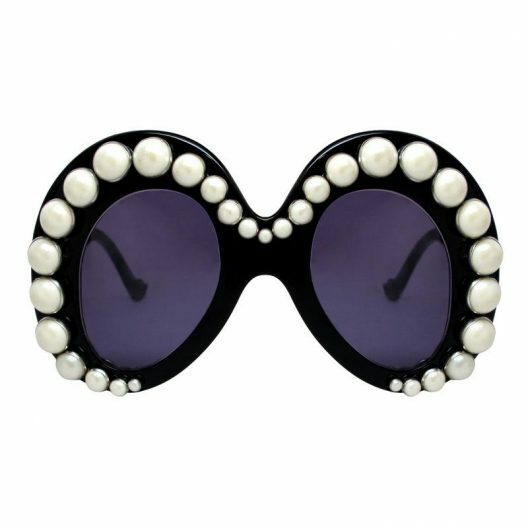 Here are our picks for 20 pairs of the most outrageous statement sunglasses designs in 2017. 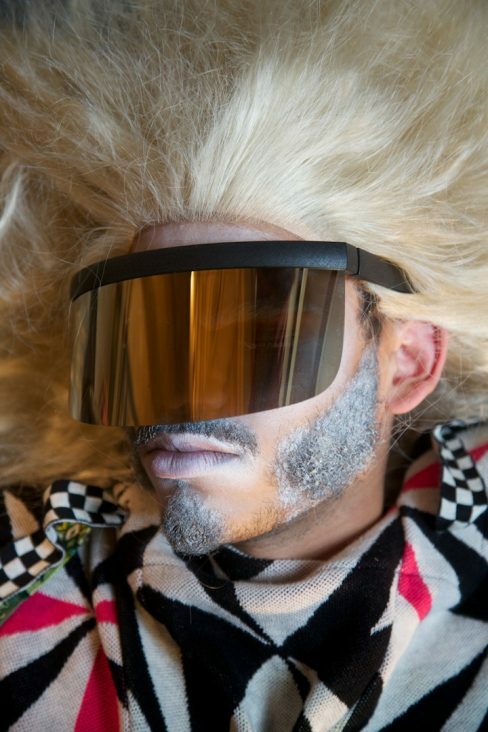 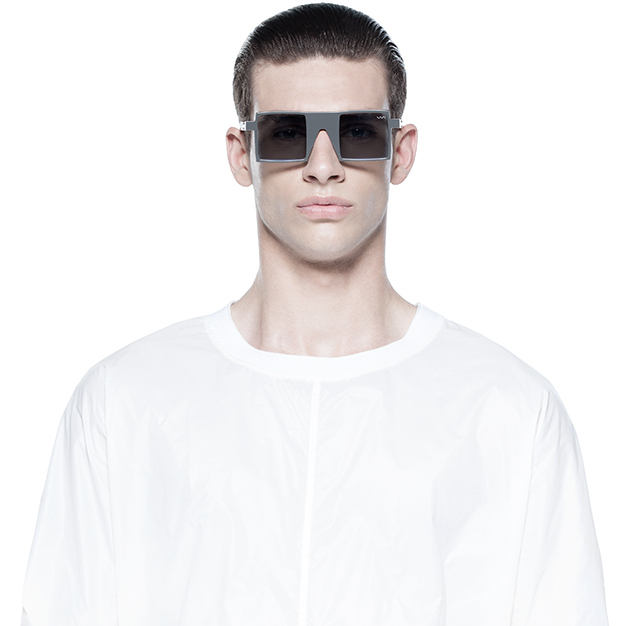 A collaboration with Hood By Air. 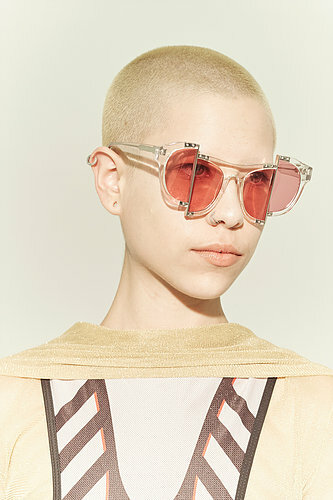 The inspiration sources for the frames lie within the punk subculture of the early 70s, this is reflected in the distinctive shape of the frame. 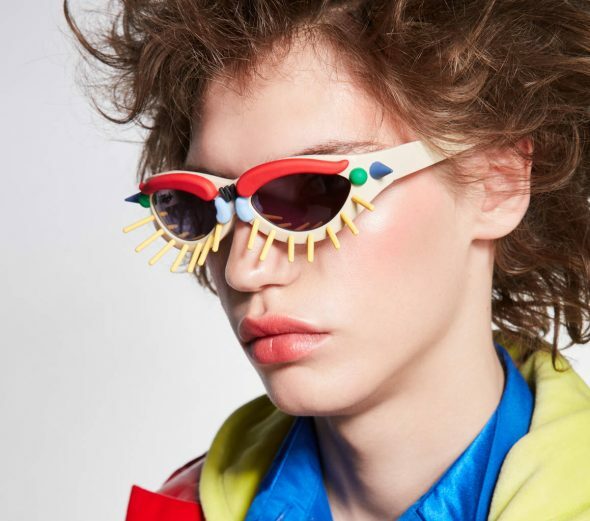 The other component of the vision of this concept is inspired by a playful twist on embellishing the face with wild, colourful make-up. 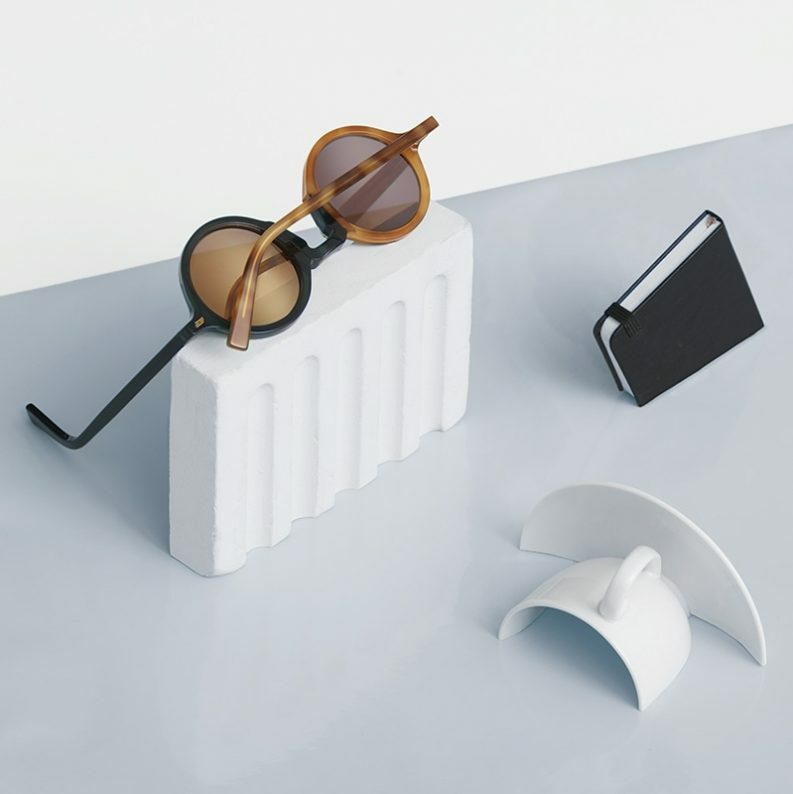 Just like a construction kit, a kind of TOY, decorative elements can be assembled together by attaching various elements to the frame creating diverse images, faces and masks. 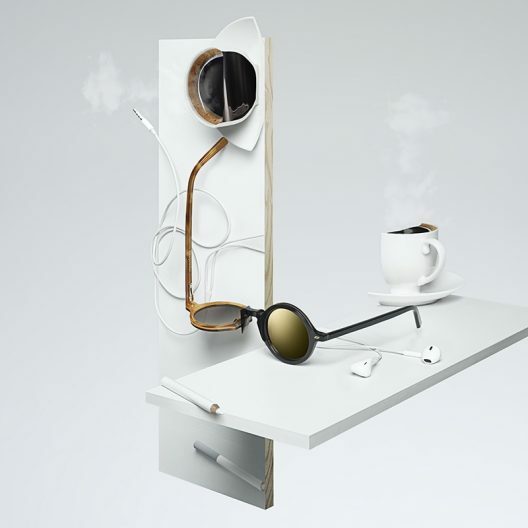 Impossible Spectacles become an essential part of anyone’s lifestyle. 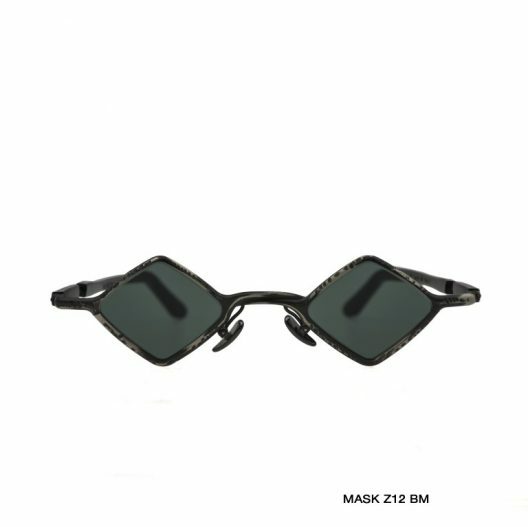 We created a high quality, completely revolutionary Made in Italy technology that protects the lenses from any potential shocks and scratches, which they are exposed to daily. 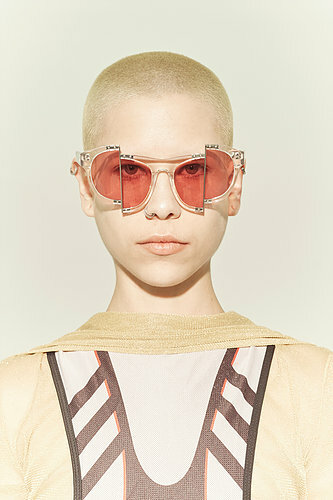 These statement ‘Yazette’ sunglasses carefully crafted by laminating layers of hand polished Japanese acetate, which are then cut away to create the illusion of brown eyes with green eye shadow and bold eyeliner flicks. 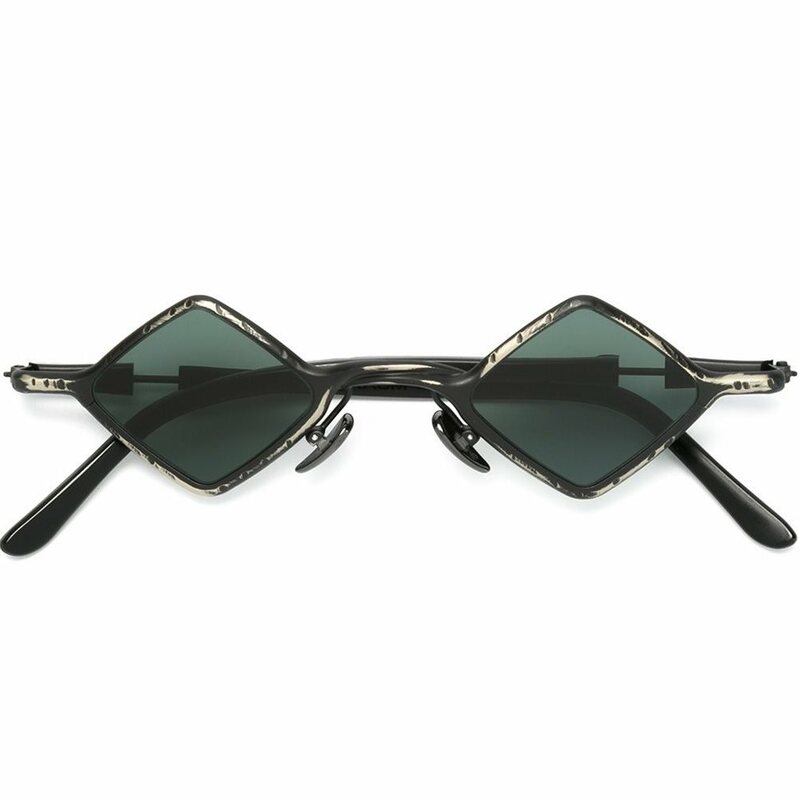 With thick black acetate temples, this imitable style is finished with the designer logo in signature white inset on the inverted side of the temple. 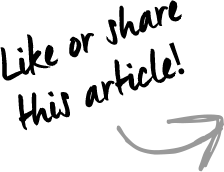 Willie Mae “Big Mama” Thorton is an unsung hero of rock and roll. 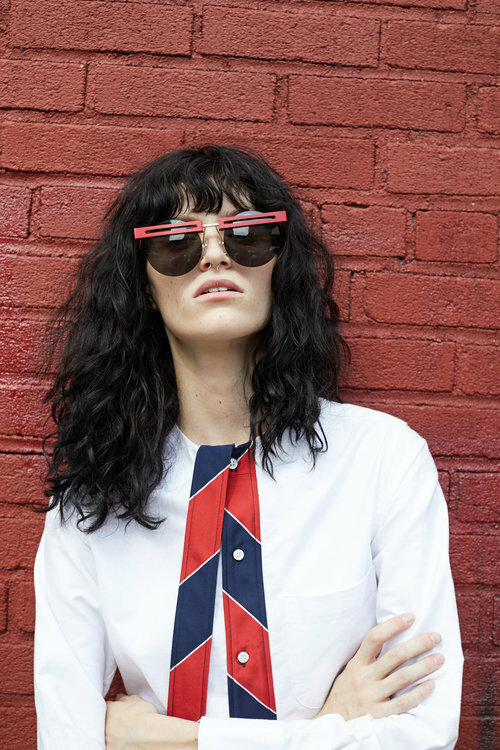 Original singer of Elvis’s famed “Hound Dog” her deep and powerful voice, along with her strong presence, amplified her legend. 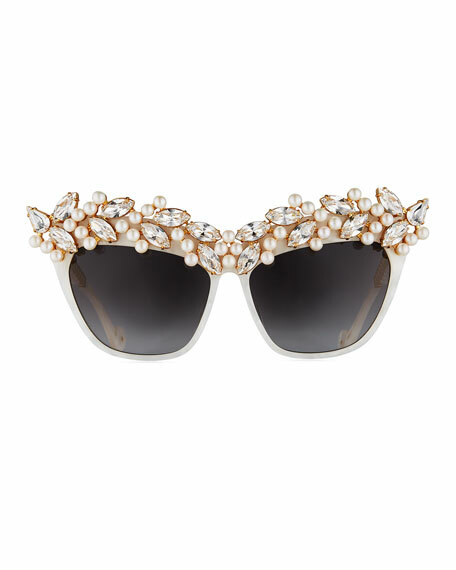 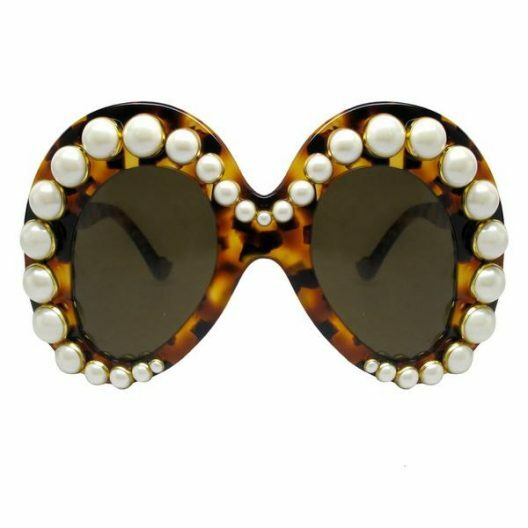 These oversize angled oval frames are encrusted with pearls, a great vacation splurge, every day statement, and the perfect piece to wear to Sunday brunch when you want to look fabulous but can’t bother with a face of makeup. 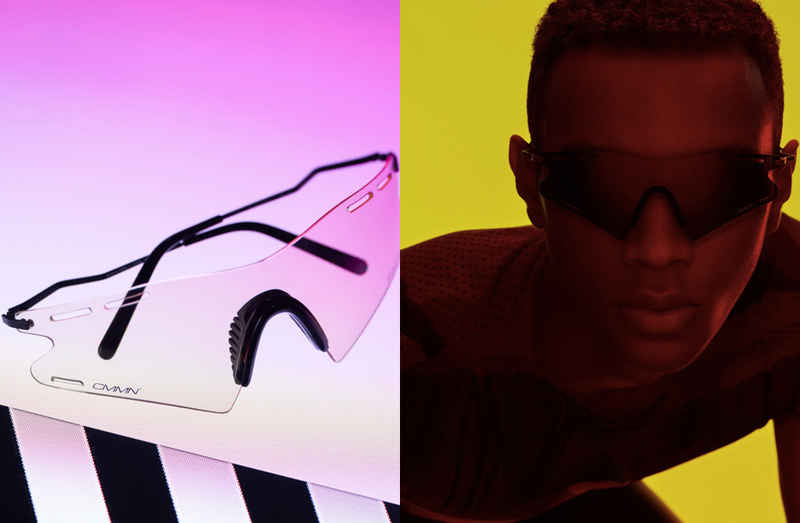 Designed in collaboration with The Andy Warhol Foundation for the Visual Arts, this collectible piece of eyewear has been conceived through Warhol’s legacy of work and persona. 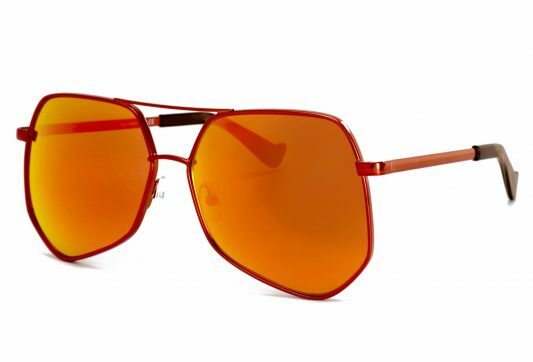 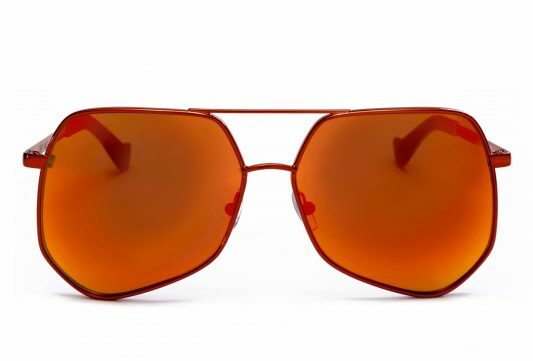 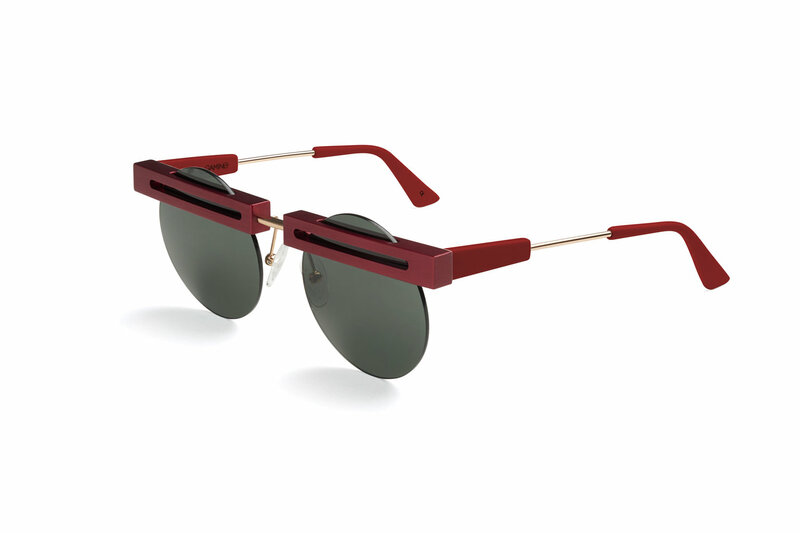 Characterized by a light metallic structure that shapes a graphic nose bridge and sleek temples, leaving the lenses underneath as two floating sharp eyes. 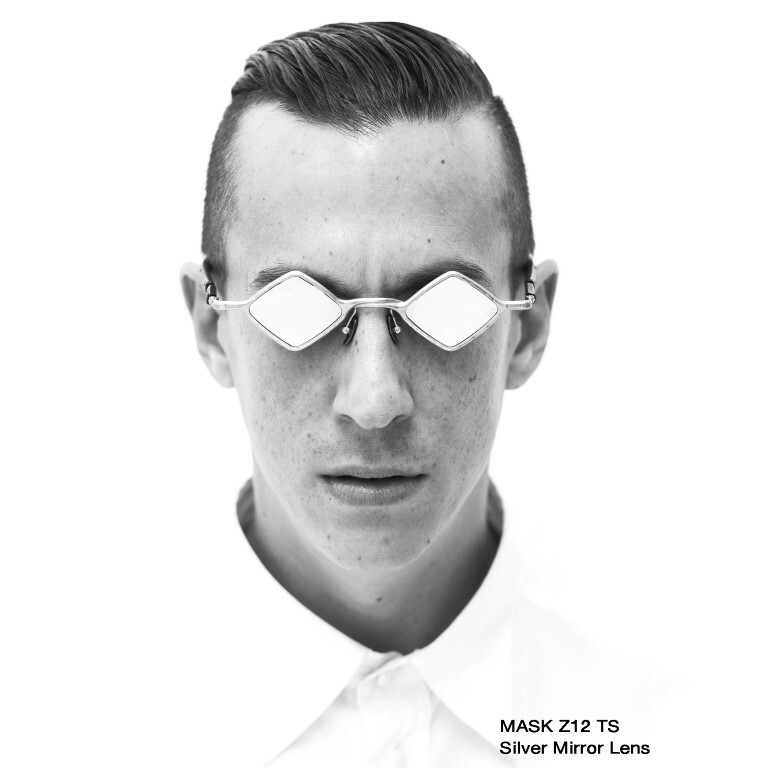 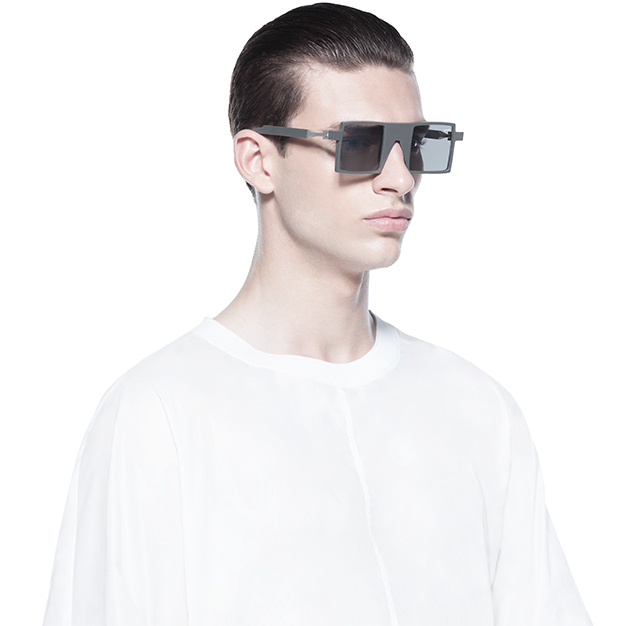 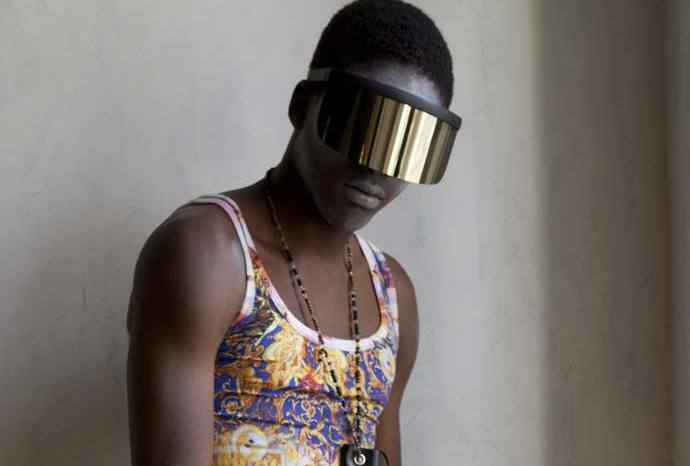 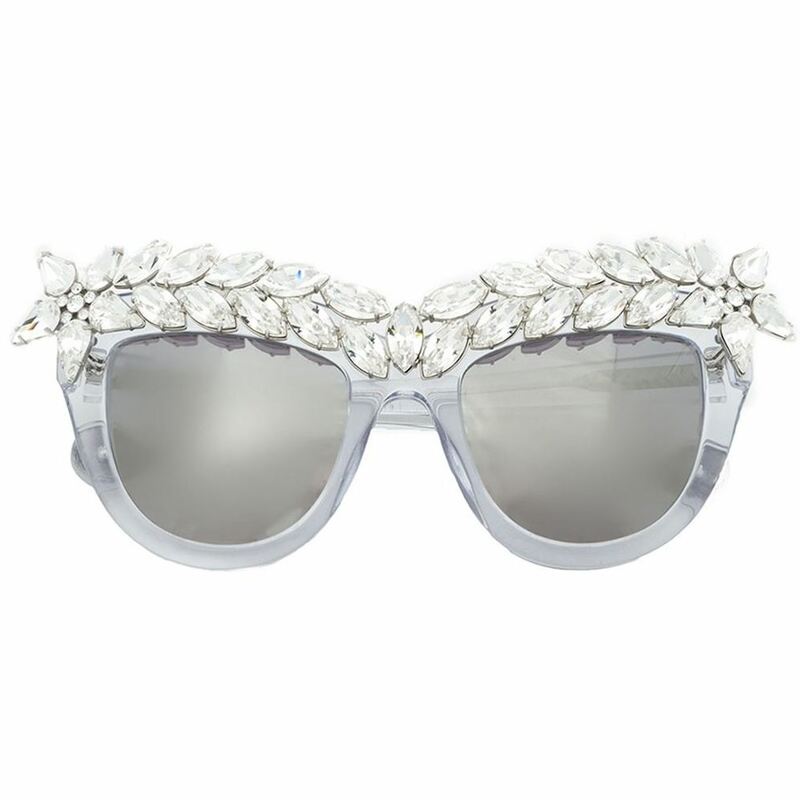 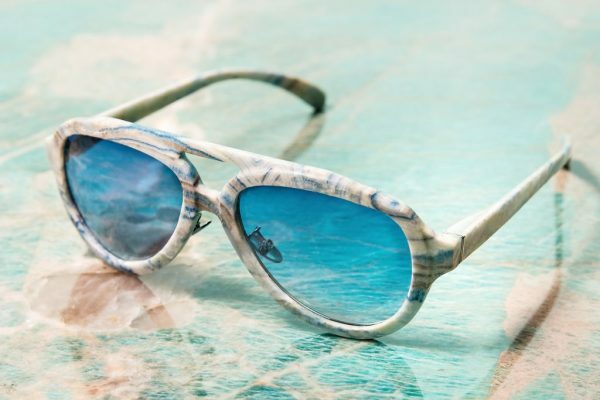 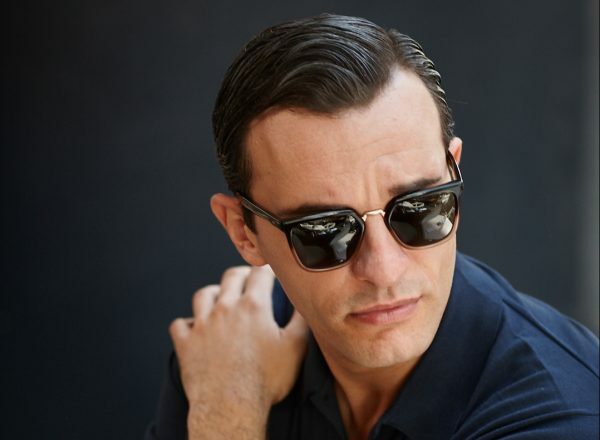 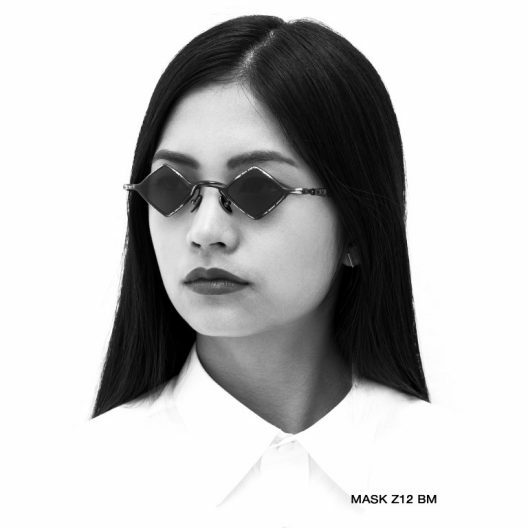 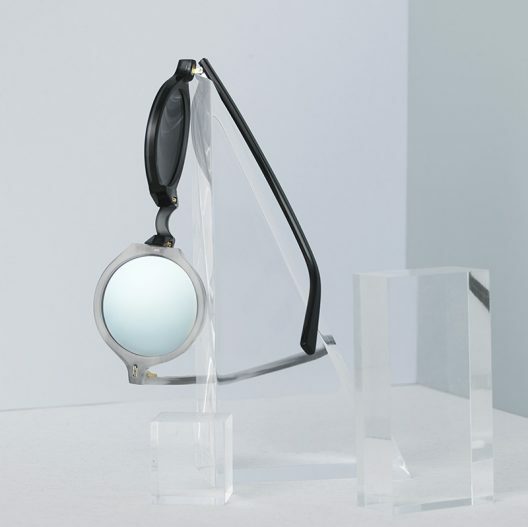 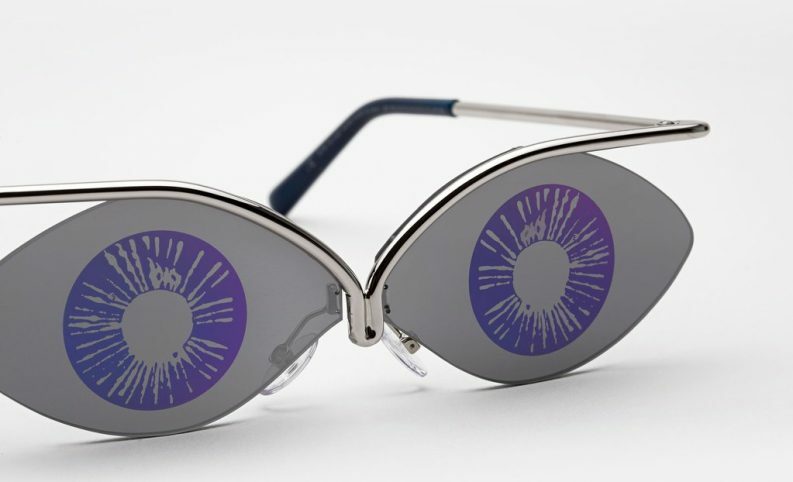 The eyewear features a piece from the Foundation’s archives, a series of illustrated eyes from the 1950s, encased with the ghost technique within the lens. 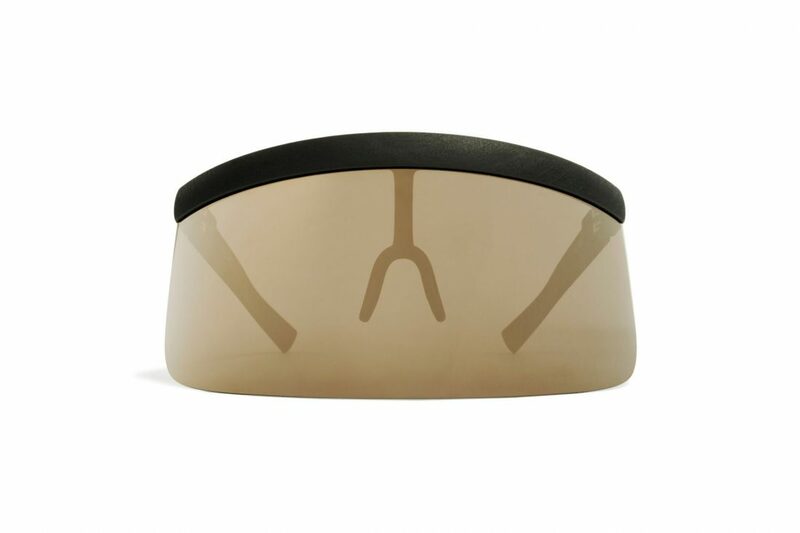 The ghost technique allows the eye to be visible only from the exterior. 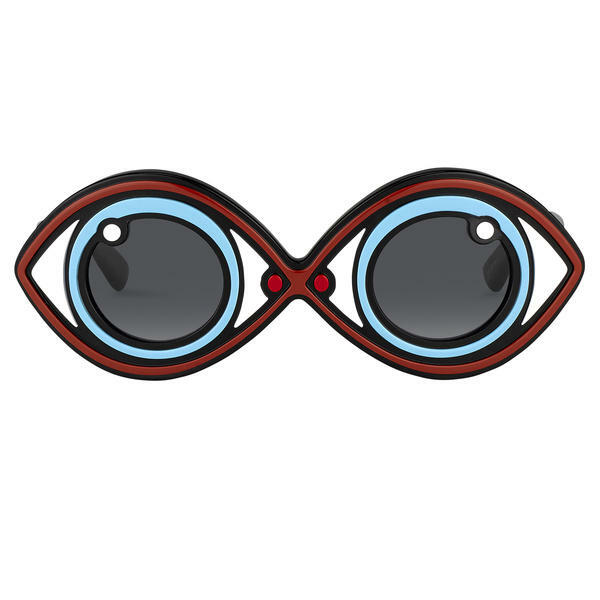 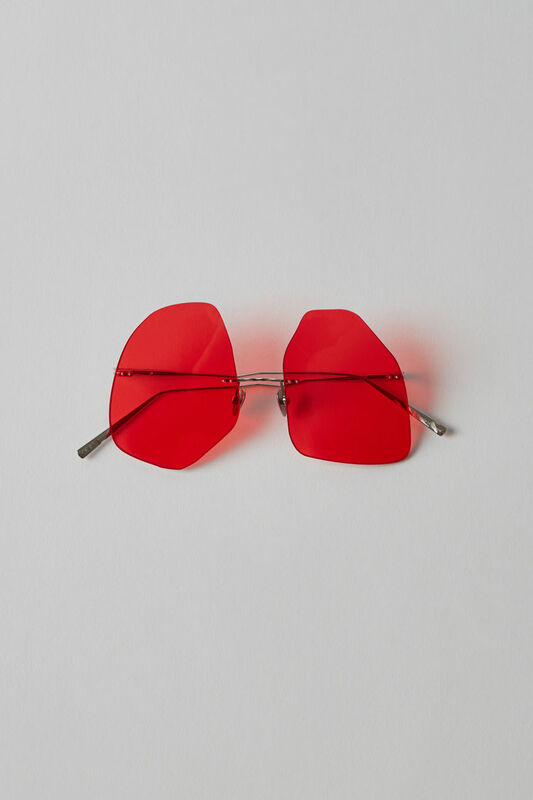 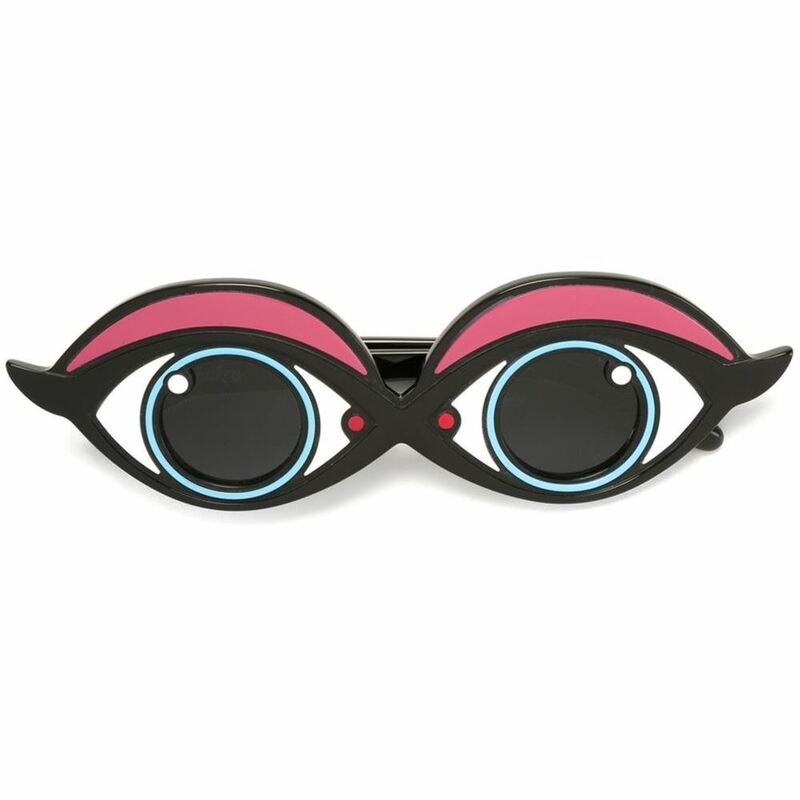 ©//TM The Andy Warhol Foundation the Visual Arts, Inc.
Acne Studios Gwendoline red are glasses based on the hand-painted eyes of Paul Klee puppets.